The X-002 ship looks complicated but we're confident in Yujin's ability to churn out quality toy ships. Pricing is set at US$39.90 for the complete set of five figures. «©NCSX» Yujin has started preorders for the fourth Shooting Historica gashapon toys and we'll open up our own reservations tomorrow. 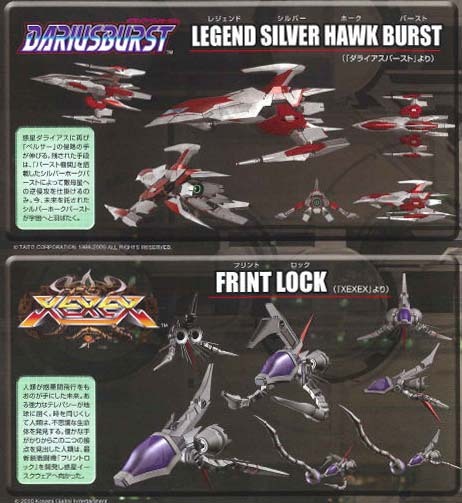 We were surprised to see the "Legend Silver Hawk Burst" ship from the recent Darius Burst in the set since we assumed Yujin would be releasing the toys in some sort of chronological order. 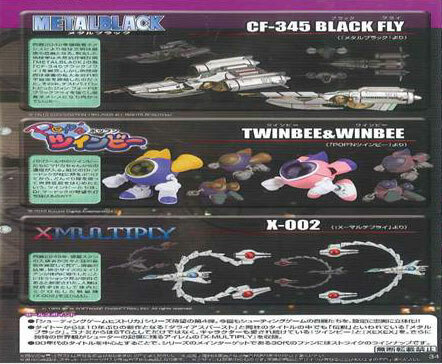 At least the "Flint Lock" from Xexex is in there along with the "X-002" from X-Multiply. A full preorder synopsis will be updated on January 7, 2010. Thanks. 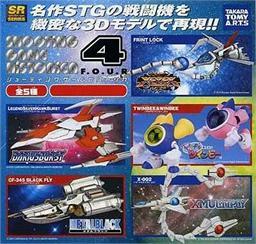 The third series of Shooting Game Historica 3 gashapon toys feature ships from Soukyugurentai, Star Soldier, and more. A couple of weeks ago, we finally sold out of the Shooting Game Historica Partial Sets consisting of the Vic Viper T301, Metarion, and the Silver Hawk.